Meet Sasha Abramowitz: smart, funny, resourceful. Aspiring writer and pastry chef. Good listener (usually), good talker (when she feels like it), good friend (most of the time). Good sister? Well, that’s more complicated. You see, her brother has Tourette’s syndrome, which is really his problem, but in a way it’s Sasha’s, too (he can be pretty embarrassing at times). Let’s just say she’s working on it. Anyway, he’s away at a special school (until a fire sends the students home, unexpectedly). 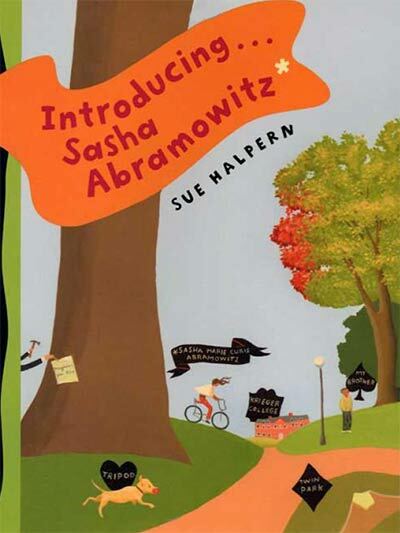 But with her baseball-loving professor dad, a mom who teaches neuroscience, a babysitter who’s the star shortstop for the Krieger Cats and doubles as a magician and card trickster, an ex-babysitter who becomes her substitute teacher, and an onagain-off-again best friend, Sasha is not alone. As she struggles with changing friendships and feelings about her older brother, learns her lines for her part in Cheaper by the Dozen, gets to know James, the quiet boy who plays opposite her, and helps the doctors solve a medical mystery, she comes to see herselfand her life in a different light.In this original novel, Sasha tells her story, complete with footnotes, card tricks, appendixes, and all her best vocabulary words, with brio.